More AWESOME keto recipes on our Pinterest Page! I love dips! No fork, spoon or knife needed. Whatever vegetable I have lying around works great. 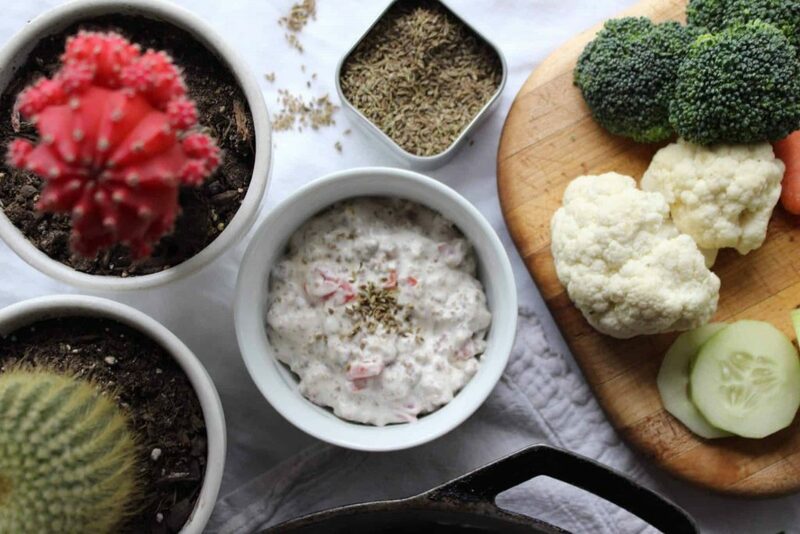 And most dips are pretty flexible when it comes to customizing flavors. 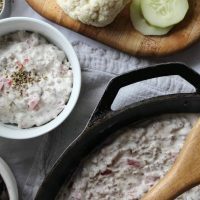 My husband and I have been devouring this dip with tortilla chips since we were poor starry-eyed newlyweds, when my husband’s awesome cousin introduced us to it. This dip has been there for us through countless movie marathons, potlucks, pregnancy cravings, New Year’s Eves, and game nights. Always with tortilla chips. A few years ago I was struggling to find yet another meal replacement for my husband, who was doing another modified Atkins diet stint. I’ve never been huge on meat, so those stints were quite a challenge for me as the family cook. Follow Keen for Keto on Pinterest! 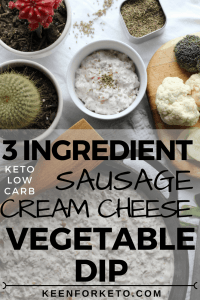 So many of my new keto recipes are makeovers of old favorites, but this is one that I didn’t have to modify. The dip itself has not been tampered with in all it’s creamy glory. However, if you do want to tamper with it, you can totally do that. 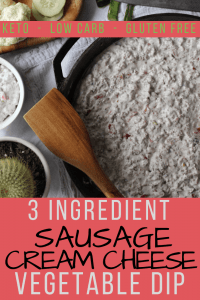 Sometimes I like to use the maple sausage instead of plain (it doesn’t add carbs!). Or if the tomatoes with mild chilis isn’t spicy enough for your taste, add another can of hotter chilis or a bit of your favorite spicy salsa. We’ll be skipping that addition ourselves–my husband says eating shouldn’t be painful–but feel free to burn your buds if that’s your thing! I can’t believe I’m saying this, but watch your vegetable intake. This is one thing that’s still had for me to believe with keto, but I understand it when I think it through. Some vegetables are higher in carbs than others. For some people, especially those with medical conditions they’re trying to heal, this is something they need to be aware of. Personally, I’m not to the point yet where I am watching my vegetable carbs. Right now I’m just happy if I can say no to my kids’ Fourth of July parade candy. But for those of us who are in the research and prep phase of the keto diet process, it’s still handy information. I don’t miss the tortilla chips at all. 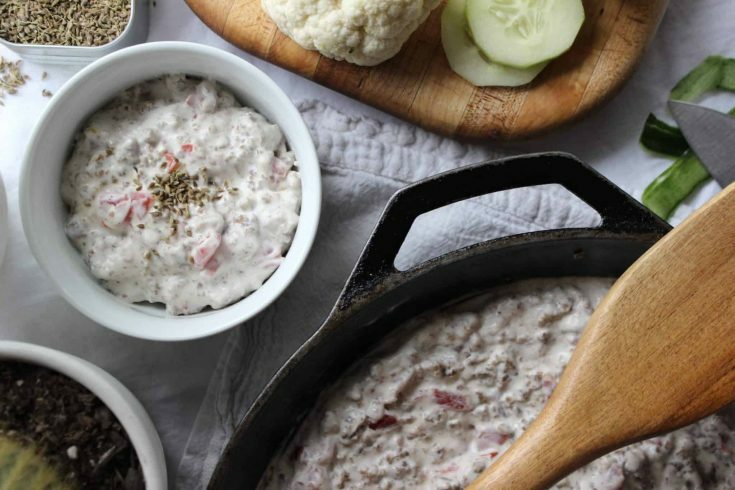 This dip is amazing no matter what you dip into it! 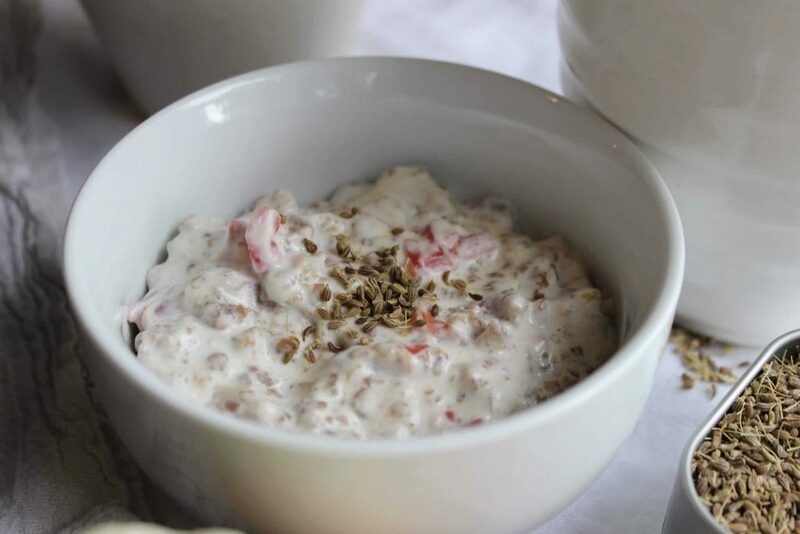 Warm, smooth cream cheese is mixed with plenty of crumbled sausage and just the right amount of diced tomatoes with chiles to smother your veggies in goodness with this easy keto veggie dip! Great for a quick lunch or healthy snack. Brown and crumble the sausage over a hot skillet. Add the cream cheese and stir until the cream cheese has melted into the sausage. Add the diced tomatoes and stir. Serve with low carb vegetables, cut into sticks.